So you've heard it before, another noob wants to play. Im looking at starting over the next few months, i want to get some items together, camo's and protection mainly. Gun will come later once ive had a few games ( and got my UKara membership). So im been looking for face protection etc and seen some on ebay. Now i was wondering if stuff on there is worth it or should you steer clear? Some masks have this steel mesh over the eyes, is this adequate ? Oh btw, im from Essex not far from Southend and looking forward to joining you all on the field. For face protection I just wear mesh goggles. Cost about £10, sometimes less and protect your eyes completely fine. They also offer the very beneficial advantage of being impossible to fog up! Ebay is a very good source of cheaper airsoft goodies, doesn't mean they're bad though, I'd say it's a perfectly safe place to get your goodies from. If you're planning on playing in close quarters type games, then you might want to consider full face protection though, you can get mesh masks that cover your face from the nose down, you can wear them in conjunction with a fairly wide range of goggles. If you're going to play with hire guns the first few times, why not just hire the site's face protection too? It'll give you a taste for what you can get, you'll be able to ask other people about what they've got too, get some pros and cons going around in your head and so on, you can even have a nosey at people's kit to get an idea for what camo gear and guns you want to look at getting. Best way to pick up tips is to just buddy up with people once you're there. Everyone's always dying to show off all their kit lol. 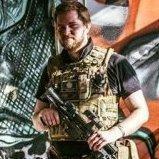 agree with what airsoft-ed is saying about hiring at first, that way you can find out from other players what sort of face and eye protection they wear. Also as you in essex near Southend, what might also be an idea is to pop into the local shops. The people in these shops are airsofters to and will give you good advise. These shops are ROE which is based in Hadleigh just off the Clock House Roundabout opps magnets superstore, or you have badgertac2 down in canvey isle just past the ind. estates. Also you can visit AirsoftQM which is based at skirmish airsoft in billericay, this shop is open on game days only thou. Also another thing you got think about is your age. Most sites have a rule that all under 18's have to wear full face mask, but if your over 18 you can just play in a set of decent shooting glasses. All the places listed above do a decent range of both. Yeah i live right by RoE and Canvey so i will check those out. Im 28, so age isnt an issue really, though some full face masks look good i assume they might hinder visibility some. Thanks for the advice guys, appreciate it.